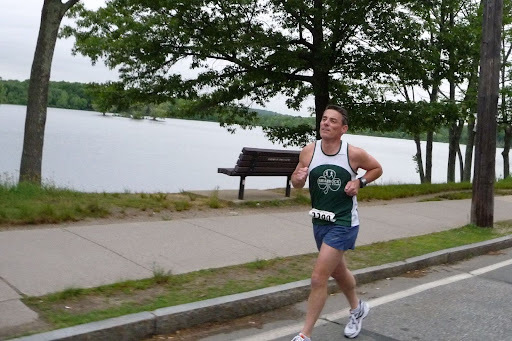 Here are photos I took as I ran the 2009 Joan's Jaunt in Woburn, MA. The 5 mile course is flat and scenic, winding past Horn Pond on dirt and asphalt trails before finishing up on the road with (oops!) a 2-block-long hill that makes you climb to the finish line.